Students determine what child belongs to which set of parents. 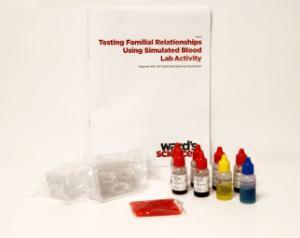 Students use safe and non-toxic Simulated Blood to determine the blood types of two set of parents and two children and ascertain which child belongs to which family. During this activity, students employ the basic Framework Principles of Structures and Properties (LS1) and Heredity (LS3). This activity can serve as an introduction to forensic science applications as well. 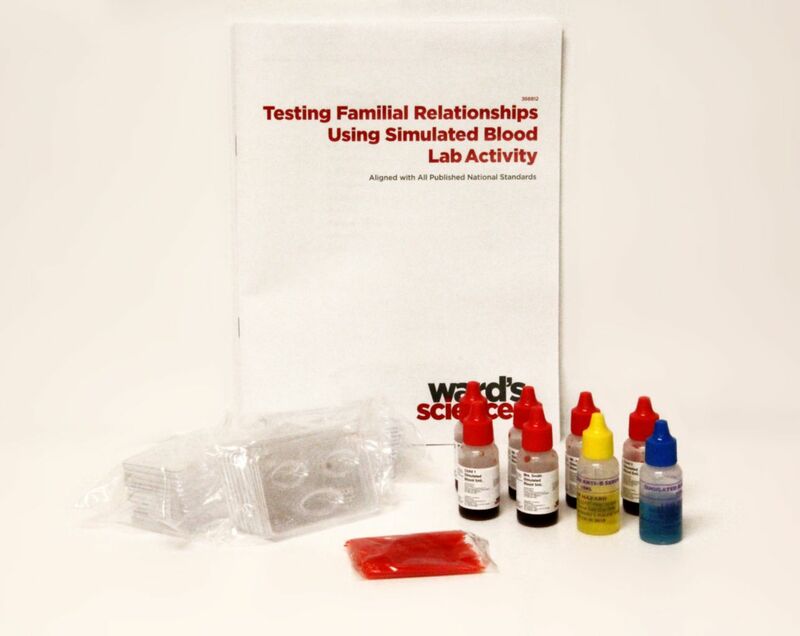 This activity helps students to understand how familial relationships can be determined using blood typing. This kit aligns with all published National Standards. Pre and post-laboratory assessments and vocabulary words target specific Science and Engineering Practices and Common Core standards. The teacher guide also contains specific "Did You Know" concepts that link the real world with the scientific standards explored. The kit includes a student copymaster and material for six setups. 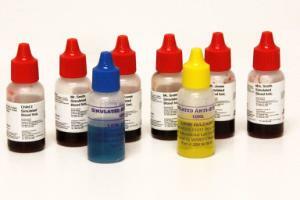 Ordering information: This kit includes Simulated Blood: Mr. Smith, Mrs. Smith, Mr. Jones, Mrs. Jones, Child One, and Child Two. It also includes simulated anti-A Serum, simulated anti-B Serum, blood-typing slides, and toothpicks.